Home » Blog » Why are Most Companies Outsourcing Virtual Personal Assistant Jobs? Most people think that online data entry and customer service jobs are the most famous and lucrative among all the other jobs that are being outsourced. That may be true in some cases because Data Entry kind of projects are being used by spammers. But contrary to that popular notion, there are other jobs at present that are quickly gaining ground and have become the much preferred alternative especially by stay-at-home mothers. 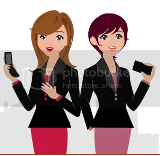 The jobs can range from the simplest form of article writing to the more complex role of personal assistants now known in the World Wide Web as Virtual Assistants. A virtual personal assistant functions the same way as a secretary does, sometimes even more, but no personal or face-to-face contact with the employer is required. You can have a client or an employer in one end of the globe while you live in the other. However, although it is a kind of job that can be done from home, it still requires time, dedication and availability on the part of the personal assistant. The desire to serve must be there even if the work can be done while the employee is in her pajamas. But now the question, why are these types of jobs being outsourced? The main reason could be that it’s more cost-efficient that way. Virtual Assistant or VA jobs are often outsourced to third world countries or where labor costs are considerably cheaper. Being that it’s less expensive that way, companies are outsourcing this particular job to lower cost regions where people are skilled and very talented yet don’t demand too much salary-wise. Just think how much more an employer can save if he hires a VA who isn’t affiliated with any company and is practically a one-man team who works from home – the employer wouldn’t have to cover benefits (tax incentives, social security and medical benefits), the workers get paid only for the hours they work, which is usually 40 hours a week and there’s no need to render overtime work. That means less overhead expenses for the employer. Though being a home-based assistant involves a lot of things which we will be discussing in another article, you should be aware that no special skills are required from a personal assistant. The most important thing to have is, of course, knowledge in basic office skills and computer literacy. What really counts the most is the attitude of the worker. The potential worker must be resourceful, organized, and dynamic, in step with the tasks handed her and must know how to coordinate with the employer. Most importantly, she has to be able to work under minimal or no supervision at all. Virtual Assistant jobs also require boundless energy and adaptability especially if the employer lives in a country with a different time zone as the worker’s. One must be willing and eager to learn everything related to her job all the more so if some of the tasks delegated are beyond the worker’s expertise. There may be times when the worker would need to get something done right away and it could be that the employer is out of reach. Should this happen, the worker must employ a take charge attitude and try to analyze what the employer would’ve advised her to do otherwise. It pays to be a quick learner, too, especially if some of the work assigned follows a certain pattern. That way, the Virtual Assistant can start doing some tasks all on her own. When it comes to choosing potential virtual assistants, women are generally considered for the position probably because they are better skilled at handling things and are intuitive, but we’re not saying here that men can’t do the same tasks. There might be situations wherein the employer gets frustrated over something and cannot quite convey or address the root cause of the frustration. This is one area where intuition is important. Women are basically understanding, too. Hence, they would understand that their employer is not irked by them but by a situation that may have gotten out of hand. Armed with this in-depth understanding of the job, you may now be ready to take on the job of a virtual personal assistant. It’s a great way of earning online and there are a lot of outsourcing companies that may help you land one.